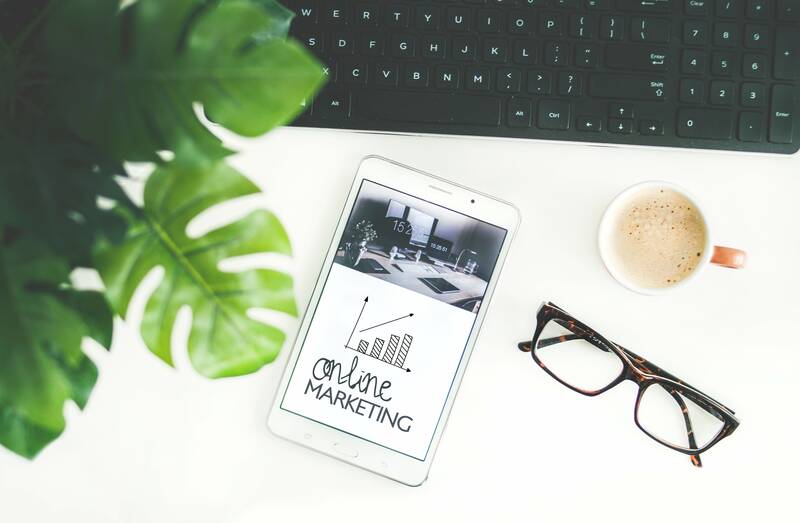 Want to find out more about how affiliate marketing works or are looking to grow your business online unsure how to begin? Our network guide on 'What is affiliate marketing?' is designed to simplify it all. Maybe you've heard the term but still ask yourself "What exactly is affiliate marketing?" Affiliate marketing is a performance-based marketing channel in which a publisher is awarded for sales they generate for an advertiser. Publishers, also known as affiliates or partners, are the people that promote a product or service on their website for their readers. Advertisers, sometimes referred to as merchants or brands, is the term used for the person or company that has the product to sell. The third party in the affiliate marketing triangle is the consumer, who purchases an advertiser’s product or service via a publisher’s website. Publishers are rewarded commission when a visitor to their site clicks an affiliate link (for example: a banner, logo or text link) goes to a particular advertiser's website and performs a certain action on the advertiser's site. Usually, this is completing a transaction. However some advertisers ask publishers to refer them traffic that result in a lead instead of a sale, perhaps through the completion of an online application form or the submission of the user's email address. For example, when looking to book a vacation you may research flight prices on the Skyscanner website. Once you have found the cheapest flight on Skyscanner, you then click through to the airlines website to purchase the tickets. In this example, Skyscanner is the publisher and the advertiser is the airline (Emirates, Qatar Airways etc.) as this is the site where you complete the purchase. The advertiser, say Emirates in this example, would then give Skyscanner a commission since the sale, also referred to as a conversion was generated by them. An affiliate network, such as Awin, controls tracking, payments and facilitates the relationships between publisher and advertiser. Once signed up to Awin, publishers have the freedom to browse an array of different advertiser programs via our User Interface (UI) or Advertiser Directory and can request to join them. Once a publisher’s request to join an advertiser program has been accepted, they can begin promoting the advertiser products on their website and earn commission on sales that they generate. The User Interface dashboard hosts different tools to enable the tracking of the customer journey, and a range of reports so that publishers can keep up to date with performance data. We also have a publisher management team to assist new and existing publishers throughout their affiliate marketing journey and a Publisher FAQs page. The term ‘cookie’ refers to the technology used that enables the network to track all affiliate sales that have been generated through a publisher’s website. When a consumer clicks on a publisher’s affiliate link they will be redirected to the advertiser’s site. Redirect means that the consumer will be taken from the publisher’s site, to the advertiser’s site where the product of interest will be displayed and ready to be purchased. 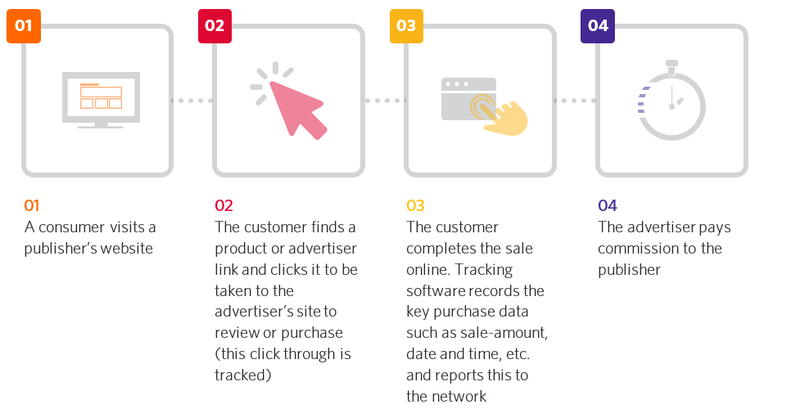 Upon clicking the affiliate link, a cookie will be dropped onto the consumer’s browser, enabling the network to record all necessary information about the consumer’s journey. Once a consumer purchases a product form the advertiser’s website they will be taken to a confirmation page, which contains network conversion tracking. The affiliate network now has all necessary information to track the consumer’s journey to purchase so that they can award commission to the publisher. Awin works on a CPA basis, which stands for ‘cost per acquisition.’ This means our publishers earn money when the advertiser pays them a percentage of the basket value from the sale that they have driven. While this is the most common form of payment, some publishers receive payments for leads, clicks or impressions. Cost per lead refers to the advertiser paying the publisher for any sign-ups they generate from interested customers. Payment on clicks will be each time an ad is clicked, whereas impression refers to the amount of times an advertiser’s ad loads on the publisher page. Another payment type that Awin has implemented is ‘Commission by Assist.' This means that a publisher could be awarded commission for a sale they have helped to generate, even if they weren’t the last click in the customer journey. For example, if a consumer clicks on an affiliate link within an article of a blog but before completing the purchase searches and finds a discount code, traditionally the coupon code publisher would be awarded for this sale since they were the ‘last click.’ However, the affiliate marketing industry is becoming increasingly aware of the value that these publishers add to the consumer journey and is able to still reward the blog for their influence. Find out more here. Any commissions publishers earn are displayed in your Awin account. Payments are released by Awin twice monthly (1st and 15th of each month) and sent directly to your specified bank account. For further information on the payment process, please click here. Cashback: These sites reward customers through monetary rebates. Examples of a cashback publisher would be Ebates and Topcashback. Social & blogs: This covers a publisher that uses Instagram, Facebook or any social network to promote products as well as publishers who own their own site and write their own content. Editorial content: This is the category used for online newspapers, magazines and other wide-scale publications. Examples would be Forbes and Buzzfeed. Discount Codes: This includes publishers who promote money off discounts using a coupon code such as Groupon and RetailMeNot. For a more comprehensive list of different publisher types, please click here. If you would like to get started as a publisher, click here. What if I’m an advertiser? Awin works with over 13,000 advertisers globally across a variety of different sectors like travel, retail, finance, technology and many more. If you are interested in beginning your affiliate marketing journey and creating relationships with a database of 100,000 active publishers, please get in touch.